Coconut & wool mattress. Size 140 x 70 x 10cm. This is a luxurious mattress, made with natural fibres and is naturally fire retardant, no chemicals are used. The core of the mattress is made from coir (coconut husk & horsehair tail bonded together with natural latex) It offers fantastic support & breathability. These fibres are then wrapped in a sumptuous wool fleece which acts as an excellent thermal insulator. 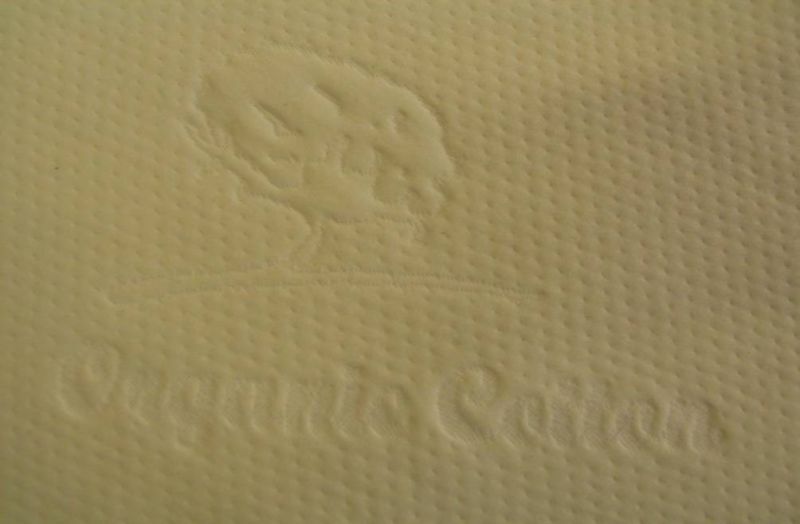 The mattress is covered in Organic Cotton fabric. (85% cotton, 15% polyester backing) It is free from all pesticides, fungicide and herbicide residues. Optional pvc sleeve underneath fabric cover. Natural fillings from natural materials. We are able to send you a mattress to Paris, the total amount it would cost to send it over via courier is £20. Thank you very much for getting in touch with us.